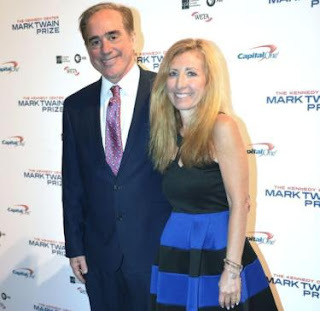 US Veterans Affairs Secretary David Shulkin improperly accepted Wimbledon tennis tickets and used tax dollars to fund a European trip, a report finds. A report by the agency's inspector general also accused Mr Shulkin's top aide of doctoring an email to justify government-funded travel for his wife. Mr Shulkin has refuted the charges. One US congressman has called for him to resign over "corruption and abuses". Five Trump cabinet officials have faced ethics probes related to travel costs. The Veteran Affairs (VA) administration's internal inspector general, Michael Missal, released a report on Wednesday finding that the secretary had received tickets to the Wimbledon women's final tennis match in July from an organiser for the Invictus Games - a sports tournament for wounded veterans founded by Prince Harry. VA officials had told ethics advisers that the tickets were a gift of a personal friend, and thus allowed under government rules. But the inspector found that Victoria Gosling, an adviser to the Invictus Games, could not recall Mr Shulkin's wife's first name when later asked by investigators. He has also previously told the Washington Post that he had purchased the Wimbledon tickets.